Old Westbury is an affluent village in Nassau County, in the U.S. state of New York, on the North Shore of Long Island. As of the 2010 United States Census, the village population was 4,671. Old Westbury is located at 40°46′55″N 73°35′50″W﻿ / ﻿40.78194°N 73.59722°W﻿ / 40.78194; -73.59722 (40.782038, −73.597236). According to the United States Census Bureau, the village has a total area of 8.6 square miles (22 km2), all of it land. As of the census of 2000, there were 4,228 people, 1,063 households, and 967 families residing in the village. The population density was 493.9 people per square mile (190.7/km²). There were 1,109 housing units at an average density of 129.5 per square mile (50.0/km²). The racial makeup of the village was 73.19% White, 4.24% African American, 0.02% Native American, 7.52% Asian, 3.67% from other races, and 2.37% from two or more races. Hispanic or Latino of any race were 17.14% of the population. There were 1,063 households out of which 43.2% had children under the age of 18 living with them, 82.2% were married couples living together, 5.9% had a female householder with no husband present, and 9.0% were non-families. 5.6% of all households were made up of individuals and 2.9% had someone living alone who was 65 years of age or older. The average household size was 3.33 and the average family size was 3.37. In the village, the age distribution of the population shows 22.7% under the age of 18, 20.2% from 18 to 24, 19.9% from 25 to 44, 25.7% from 45 to 64, and 11.6% who were 65 years of age or older. The median age was 35 years. For every 100 females, there were 86.7 males. For every 100 females age 18 and over, there were 84.6 males. The median income for a household in the village was $163,046, and the median income in the village was $184,298 for a family. The median earnings of the 899 households (89.6% of total households) in the village that took in earnings supplemental to income was $230,721. Males had a median income of $100,000+ versus $45,200 for females. The per capita income for the village was $72,932. About 1.1% of families and 3.5% of the population were below the poverty line, including 1.5% of those under age 18 and 3.3% of those age 65 or over. According to Bloomberg/Businessweek, as of 2011, Old Westbury is the second "richest" town in the United States, trailing behind only Palm Beach, Florida. The magazine previously dubbed the town "New York's wealthiest suburb." In 2011, Forbes, having done a study of "America's Millionaire Capitals", found that the average net worth of Old Westbury households was $19.6 million. The controlled study included only households with incomes greater than $200,000, which virtually[clarification needed] excluded only residents that are living in college dormitories and the staff of homeowners. 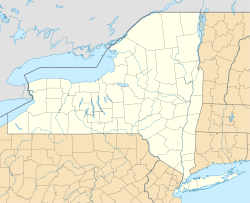 The village is famous for being the seat of many of New York's (and America's) wealthiest families, including the Phippses, Vanderbilts, Whitneys, Webbs, Du Ponts, Winthrops, Mortimers, Belmonts and Huttons. While many of these older families—the founding members of the social elite and those that emerged during the gilded age—still count members as Old Westbury residents, the village has also maintained a substantial set of industrialists, businessmen, collectors, athletes and entertainers. The Old Westbury Fund is a hedge fund that is named after the town. When Forbes asked billionaire investor Steven Schonfeld what the "wisest investment" he ever made was, his answer was "Old Westbury land." Westbury House was the residence of Henry Phipps' eldest son, John Shaffer Phipps. Today, the property is operated as Old Westbury Gardens. Robert Low Bacon built 'Old Acres' in the style of an Italian villa. Other landowners were Thomas Hitchcock and his family, Harry Payne Whitney and his wife the former Gertrude Vanderbilt, founder of New York's Whitney Museum, at Apple Green (formerly a Mott house), Cornelius Vanderbilt Whitney, whose estate is now subdivided into the Old Westbury Country Club and New York Institute of Technology. The architect Thomas Hastings built a modest house for himself, 'Bagatelle', in 1908. A. Conger Goodyear, then president of the Museum of Modern Art in New York City had a house built in 1938 by famed architect Edward Durell Stone, who also destined the building for Conger's museum. In 2003, the A. Conger Goodyear House was added to the National Register of Historic Places to protect the structure from being demolished to subdivide the expensive land surrounding it. The estate of Robert Winthrop, an investment banker and member of the Dudley–Winthrop family, for whom Winthrop-University Hospital was named, has been similarly preserved. Part of Gertrude Vanderbilt Whitney's estate and her sculpture studio has been preserved and maintained by one of her grandchildren, Pamela Tower LeBoutillier. When Robert Moses was planning the Northern State Parkway, the powers of Old Westbury forced him to re-site it five miles (8 km) to the south. Once the parkway was completed, many residents found it to not be the eyesore they had been anticipating and regretted making their commutes more inconvenient than necessary. In the 1950s, the state purchased land from Charles E. Wilson, a former president of General Motors who needed to sell off his Old Westbury estate to pull himself out of financial crisis and relocate to the nation's capital to serve in President Dwight D. Eisenhower's cabinet. The land, which runs along an edge of the village, was used for the Long Island Expressway. Residents are zoned to schools in one of three school districts. They are East Williston Union Free School District, Jericho Union Free School District, and Westbury Public School District. Holy Child Academy – A private catholic day school, grades K through 8. New York Institute of Technology – A private undergraduate and graduate university. SUNY Old Westbury – A public, four-year liberal arts college. F. Ambrose Clark, equestrian, heir to Singer Sewing Machine Co.
Edward Francis Hutton, financier and co-founder of E. F. Hutton & Co.
Foxhall Keene, champion automobile racer, polo player, thoroughbred breeder, purported original namesake for "Chicken à la King"
John Shaffer Phipps, director of U.S. Steel and W. R. Grace & Co.
Michael Grace Phipps, polo champion, Phipps family and Grace family heir, board member of Bessemer Trust and W.R. Grace & Co.
Harold E. Talbott, early aviator, president of Dayton-Wright Airplane Company, third United States Secretary of the Air Force. Person of Interest: Season one's seventeenth episode, "Baby Blue," originally airing March 8, 2012, included Moretti's car crash and other road scenes filmed in Old Westbury. The series returned to Old Westbury for the fifth season's sixth episode, "A More Perfect Union," originally airing May 23, 2016, which included horse-riding scenes at the Dudley–Winthrop family estate and a wedding at the Alexander de Seversky mansion. America's Castles: A&E Network documentary series on gilded age homes featured Peggy Phipps Boegner touring one of the Phipps family's estates on the episode airing August 8, 1995, entitled "The Gold Coast". ^ a b Business Week, "The Most Expensive Suburbs of the Biggest U.S. Cities, New York City: Old Westbury"
^ Stonington, Joel; Venessa Wong (December 2011). "America's Richest Zipcodes: Where the 1% Lives". Bloomberg Businessweek. Archived from the original on January 7, 2012. Retrieved December 12, 2011. ^ "Millionaire Capitals: Old Westbury". America's Millionaire Capitals. Forbes Magazine. Retrieved December 12, 2011. ^ Fischler, Marcelle S. (August 4, 2011). "Developers Building for 'Today's Gatsby' - In the Region/Long Island". The New York Times. ^ Greenberg, Duncan (March 19, 2010). "Billionaire Speaks Out: Steven Schonfeld". Forbes Magazine. Retrieved July 21, 2013. ^ "Village History". Village of Old Westbury. Retrieved 14 July 2012. ^ Fox, Margalit (23 December 2011). "Doe Avedon, Fashion Model and Actress, Dies at 86". The New York Times. ^ Hudson, Edward (26 July 1987). "Max Fortunoff, 89, Is Dead; Headed Specialty Store Chain". New York Times. Retrieved 7 June 2012. ^ Frankel, Bethenny (2009). Naturally Thin. Touchstone. pp. "Introduction". ^ Hirschberg, Lynn (19 August 2001). "To The Manor Born". The New York Times. ^ Nash, Eric P. (13 December 2000). "Jack Liebowitz, Comics Publisher, Dies at 100". New York Times. Retrieved 8 January 2015. ^ Roberts, Fiona (2 June 2012). "Bernie's brother forced to sell his $6.5m Long Island home as he faces lawsuit from investors". Daily Mail. Retrieved 7 June 2012. ^ Bryan, Carmen, It's No Secret: From Nas to Jay-Z, from seduction to scandal, a hip-hop Helen of Troy tells all. New York: VH1 Books, 2006. p 208. ^ Ewen, Lara (6 April 2018). "$1,888,888M Old Westbury home started as farmhouse". Newsday. Retrieved 8 April 2018. ^ Coscarelli, Joe (8 May 2014). "Damien Hirst Statue of Giant, Naked Pregnant Woman Scandalizing Long Island Rich People". New York Magazine. Retrieved 8 May 2014. ^ "Former Nautica CEO Lists Sporty Long Island Estate for $7.5M". Curbed. Retrieved 15 July 2013. ^ Braff, Danielle (15 May 2015). "NYC Mayor Jimmy Walker's Old Westbury Mansion for Sale". Newsday. Retrieved 16 May 2015. ^ Chitwood, Adam. "Production Begins on ADMISSION Starring Paul Rudd and Tina Fey; Lily Tomlin Joins Cast". Collider.com. Retrieved 14 May 2012. ^ "Wednesday, June 6 Filming Location information". On Location Vacations. Retrieved 11 June 2012. ^ a b Harwood, John (12 September 2014). "An inside look at how Amazon makes TV shows". CNBC. Retrieved 21 September 2014. ^ "Friday, Sept. 16 & Weekend Filming Locations in NYC, Boston, Portland, L.A., Chicago & more". On Location Vacations. Retrieved 16 September 2011. ^ Guzman, Rafer (19 June 2012). "New Jersey-based 'Dark Horse' shot on LI". Newsday. Retrieved 20 June 2012. ^ Morabito, Andrea (27 April 2015). "Long Island matrons kiss and tell on new reality show". New York Post. Retrieved 29 April 2015. ^ Heisler, Todd. "Parents at Camp". New York Times. Retrieved 29 April 2015. ^ Cohen, Stefanie. "$1 million parties — have NYC bar mitzvahs gone too far?". 18 April 2010. New York Post. Retrieved 29 April 2015. ^ PageSix.com Staff (11 Dec 2008). "TV Sage Caught in Illicit Kiss". New York Post. Retrieved 29 April 2015. ^ Tate, Ryan (11 Dec 2008). "CNBC Douchebag Steals Hedge Funder's Wife". Gawker. Retrieved 29 April 2015. NYT: A House That's a Bargain for $16 Million?